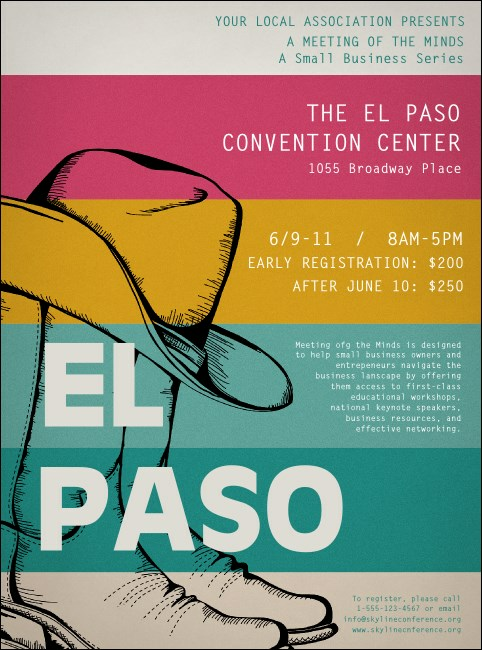 Be the guiding light for your pre-event advertising in the Lone Star State when you print El Paso Flyers and promote your next El Chuco event in advance. Let your promotions shine brighter than the star on the Franklin Mountains with Flyers that feature a multi-colored background design with Western-style boots and a cowboy hat. Get the best promotions in West Texas at TicketPrinting.com.